On Friday, the Nebraska Supreme Court announced that parents of a minor child have their own claim separate and distinct from their minor child under the Political Subdivisions Tort Claims Act (PSTCA). Connelly v. City of Omaha, 284 Neb. 131 (2012). In December 2000, Timothy Connelley took his daughters, Rachel, age five, and Chelsea, age ten, sledding in Memorial Park in Omaha, Nebraska. The park had recently undergone renovations which including planting new trees near a hill commonly used by Omaha residents for sledding. Rachel and Chelsea were sledding down the hill on a saucer sled when their sled veered into one of the new trees. Chelsea sustained injuries to her ribs and chest, from which she recovered. Rachel sustained a fracture dislocation of her spine, which resulted in permanent paralysis from the shoulders down. Timothy and his wife, Kelly, filed tort claims with the City on December 27, 2001, pursuant to the Political Subdivisions Tort Claims Act. They alleged that the City’s willful negligence proximately caused the injuries sustained by their daughters, and they sought damages for past and future medical expenses, loss of services, and emotional distress. They also challenged the constitutionality of the $1 million cap on damages imposed by Neb. Rev. Stat. § 13-926. Later, Rachel and Chelsea, by and through their parents, filed a separate action which sought general damages arising from the same accident. They alleged that the City was both negligent and willfully negligent, and that § 13-926 was unconstitutional. The district court consolidated the daughters’ action with the parents’ previously filed action. The Nebraska Supreme Court, in upholding both the negligence of the City and the contributory negligence of Timothy, clarified the application of the $1 million cap on damages. The Court disagreed with the City’s argument that the district court erred in determining that Rachel’s injuries triggered three separate damage caps—one for Rachel and one for each of her parents. The City argued that the parents’ claims are “derivative” and “must logically be subsumed” in the $1 million cap applicable to Rachel’s tort claim. Id. at 150. In other words, the City sought to limit its liability under the PSTCA to $1 million for all claims arising from a single bodily injury. The Court disagreed, noting that “[t]he Legislature could have written the statute that way, but it did not. Instead, it imposed the $1 million cap on ‘any person for any number of claims arising out of a single occurrence.’ Rachel and her parents are separate persons under § 13-926(1), as the parents’ claims are separate and distinct from Rachel’s claim. Therefore, Rachel’s claim and her parents’ claims are subject to separate damage caps.” Id. at 153. But while Rachel’s claim and her parents’ claims are subject to separate damages caps, the Court determined that the claims of Kelly and Timothy for medical expenses and loss of services are not separate and distinct. Rather, these claims are joint in nature as they were based on the same proof, and the parents could not each separately recover the full amount of damages for medical expenses and loss of services. Thus, the parents’ claims are subject to a single damage cap of $1 million. Id. at 158-159. 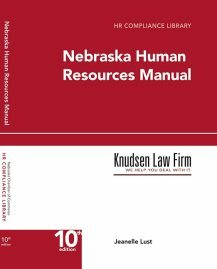 With the Connelly decision, the Nebraska Supreme Court clarified the damages cap under the Political Subdivisions Tort Claims Act and determined that the parents’ of a minor child have their own claim for medical expenses and cost of care separate and distinct from that of their minor child. This effectively means that in cases where a minor child is gravely injured, a political subdivision could be facing a total damages award of $2 million under the PSTCA, not $1 million.